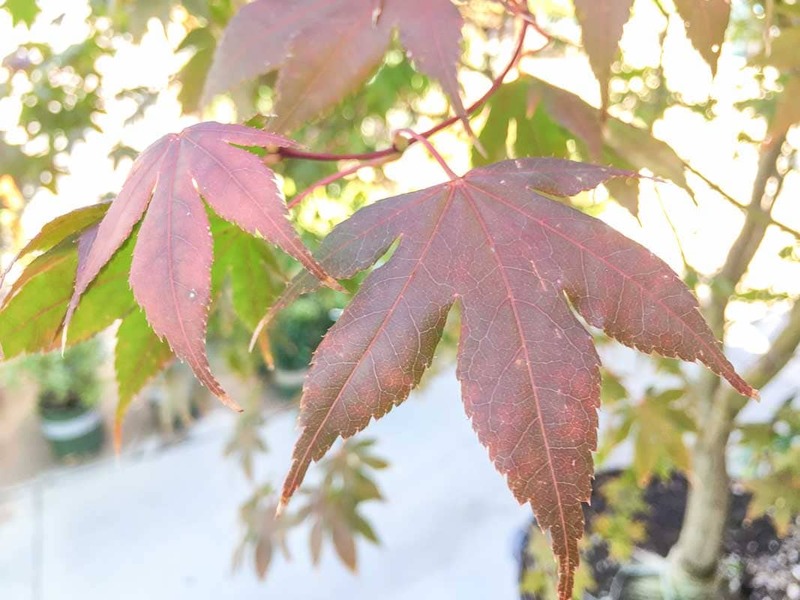 Maple Japanese Bloodgood - Tree Top Nursery & Landscape Inc. This Japanese maple is grown for its rich purple leaves. Each maple-shaped leaf has seven points and turns crimson in the fall. The tree can grow from 10 to 15 feet tall and wide with spreading branches. The form is open and eventually rounded. It works well as an accent tree in sheltered areas and works well as an understory tree. It prefers part sun. Leaves will lose their color in full shade. It prefers moist, well-drained soils and shelter from too much wind.